Wondering what to do with our most recent harvest of heirloom tomatoes from our garden, I decided to make an uber-fresh tomato sauce for pasta. When the tomatoes are as fresh and rich tasting as those direct from the garden, you don't really need to add a lot to make a sauce with tremendous flavor. Here's how I do it. First, I cut the tomatoes in half, squeeze out the seeds, and grate them, skin side up, on a cheese-type grater set over a large bowl. You could also use a food mill, food processor or other method. 1 lb. 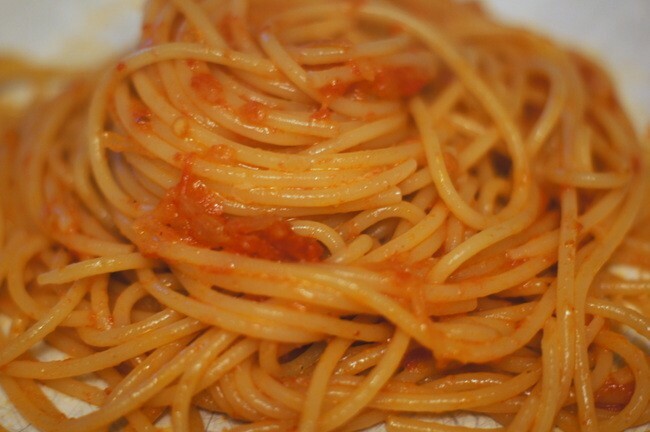 dried pasta such as spaghetti, linguine, penne, etc. 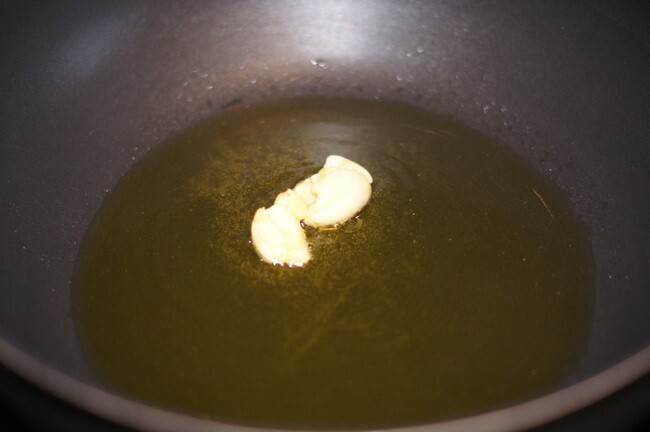 Heat the olive oil and 1 tablespoon of butter together in a large, deep skillet or saucepan over medium heat. When the butter has melted, add the onion, shallot, and pepper flakes to the pan. Cook, stirring, until the onion is soft and translucent, about 4-5 minutes. 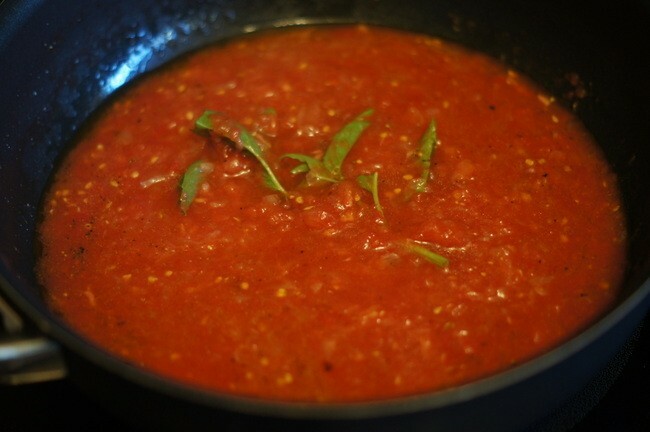 Add the tomatoes and basil to the pan along with a little salt, to taste, stir well, and bring to a simmer. Cook for 20-30 minutes, until the sauce thickens a bit. 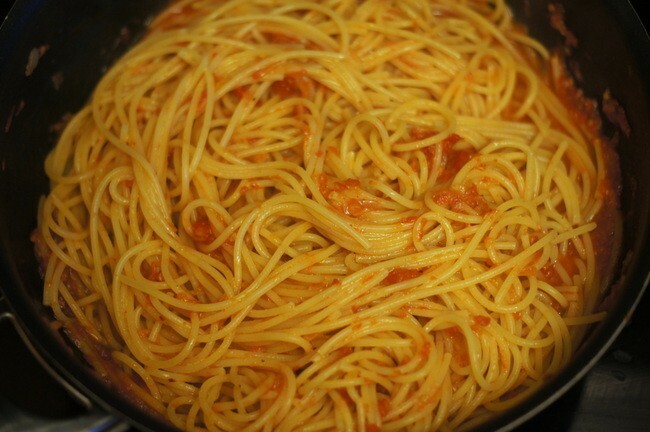 While the sauce is simmering, cook the pasta according to package directions, a minute or so shy of al dente. 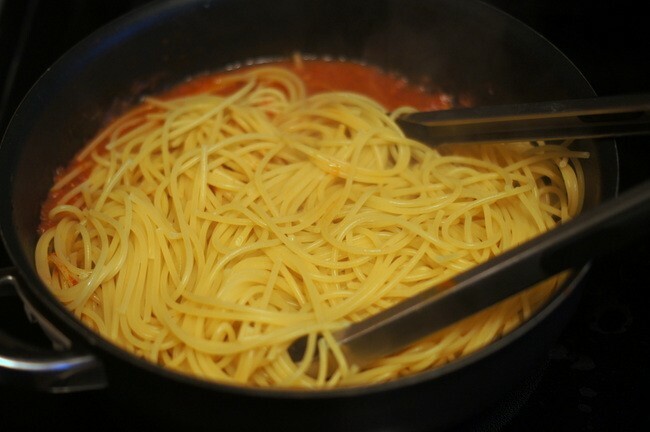 Drain the cooked pasta, reserving 1/2 cup of the pasta cooking water. 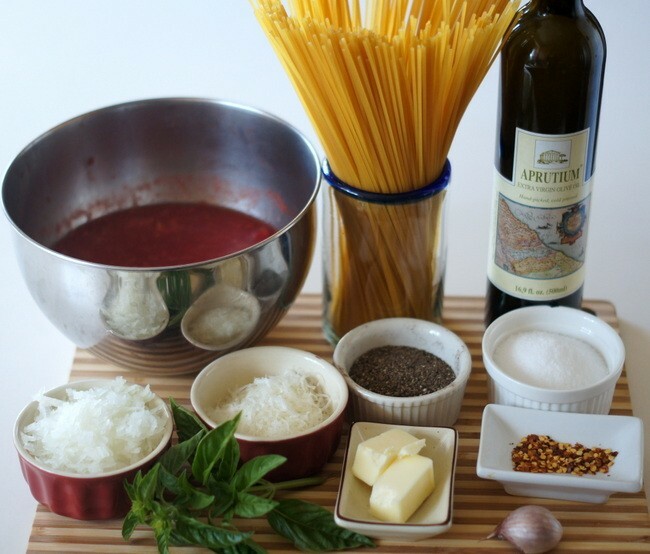 Remove the basil from the sauce and discard. 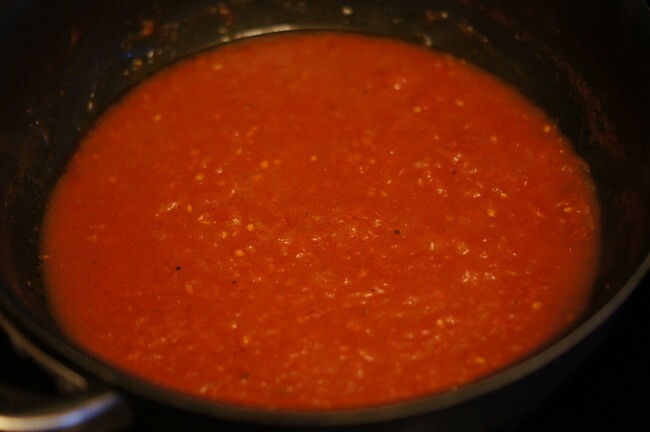 Increase the heat under the sauce to medium-high, stir in the drained pasta and toss well in the sauce. 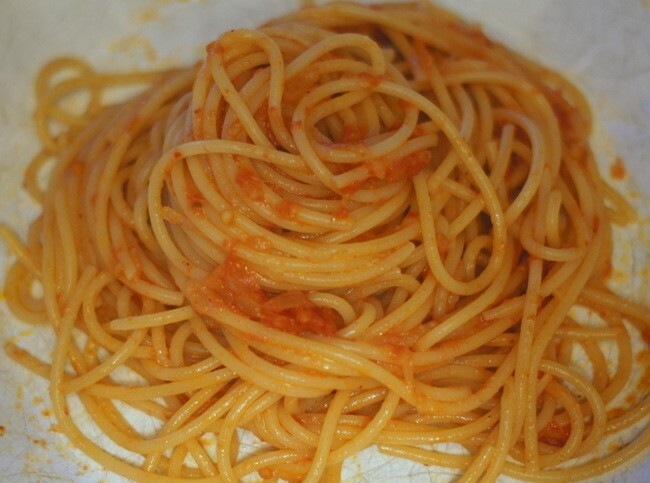 Add a little of the reserved pasta water to the pasta to loosen it up a little, if necessary. 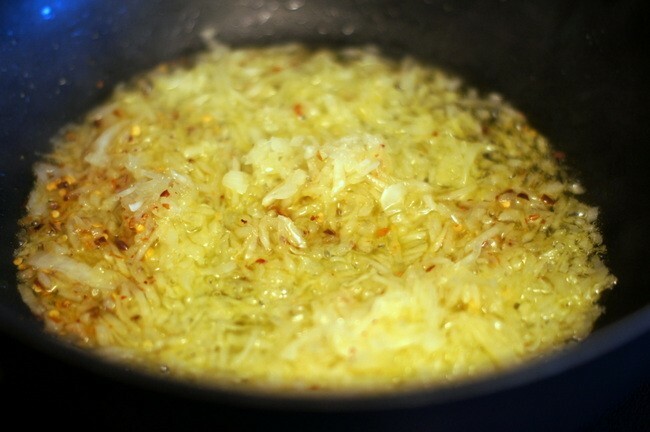 Off the heat, stir in the grated cheese, remaining tablespoon of butter, and black pepper, to taste. 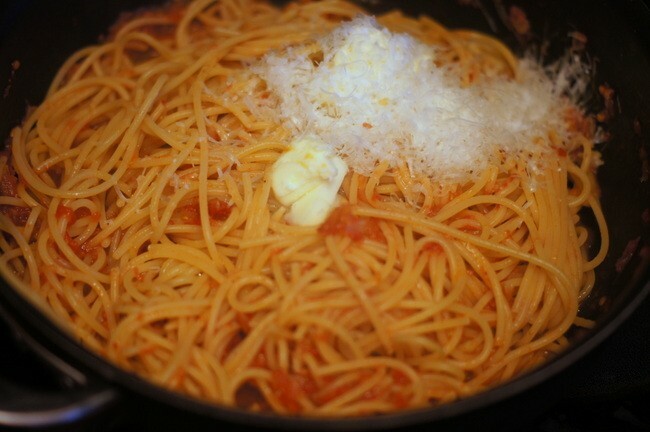 Serve immediately with additional grated cheese, if desired.